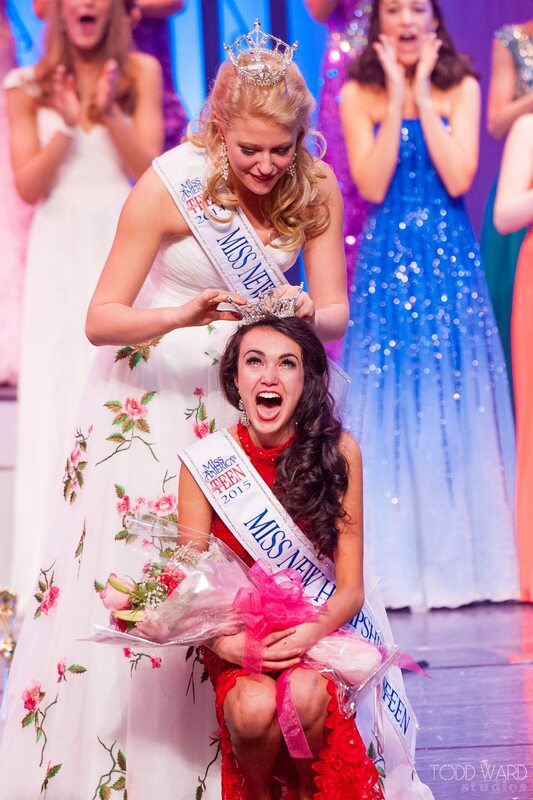 After an intense weekend of competition with twenty-three outstanding young women from across the Granite State, Allie Nault was crowned the new Miss New Hampshire’s Outstanding Teen! Allie won a Preliminary Talent Award for her fabulous twirling, tied for the Community Service Award for her work with NH Jump$tart, and was selected as Miss Congeniality by her peers. She will bring all that talent, service, and heart to Orlando for the Miss America’s Outstanding Teen Competition this summer. 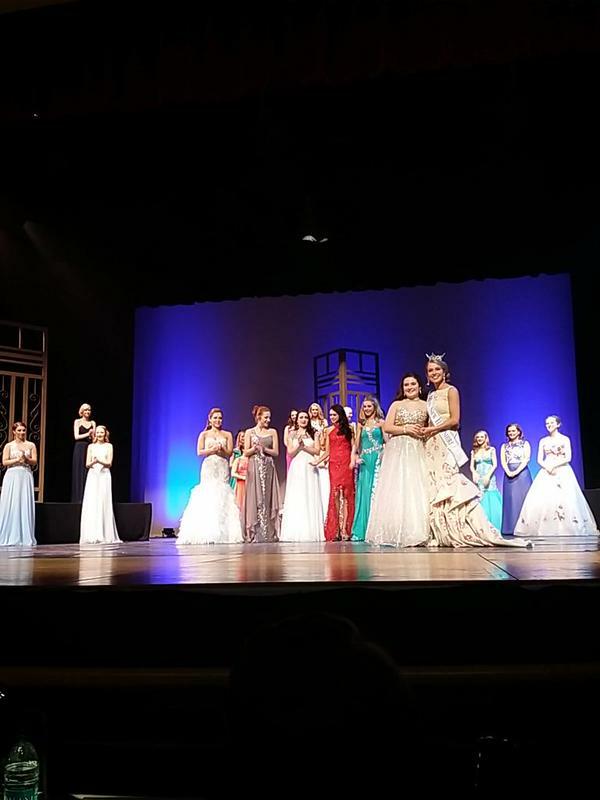 The outstanding top five also included: First Runner-Up: Brooke Mills (Overall Interview & tied for Community Service Award), Second Runner-Up: Sarah White, Third Runner-Up: Kenzie Goode (Teens in Training Scholarship), and Fourth Runner-Up: Skylar Reinert (Overall Talent). 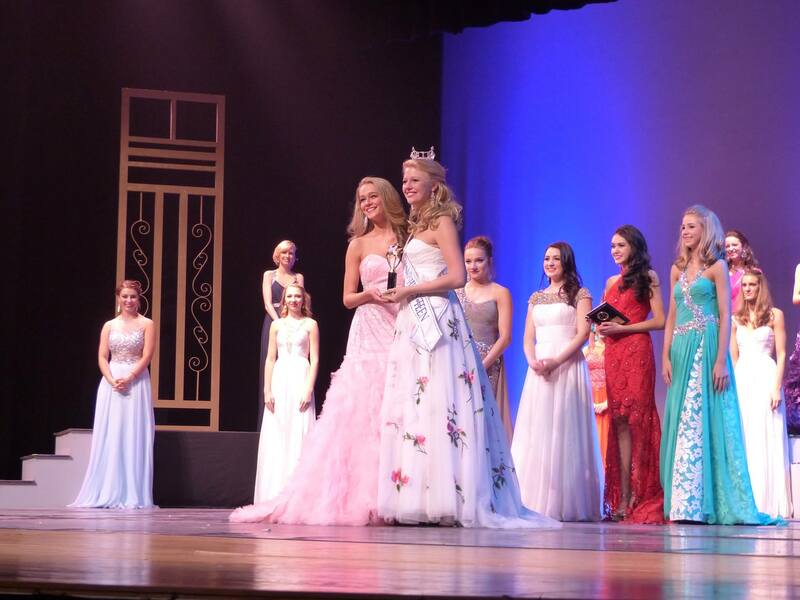 Miss Gate City’s Outstanding Teen Meghan Montminy won the Miracle Maker Award for her commitment to fundraising for the Children’s Miracle Network Hospitals. Miss Apple Harvest’s Outstanding Teen Natalie Jenkins won the Photogenic Award and a Non-Finalist Talent Award. Sarah Oswald won the Non-Finalist Interview Award. 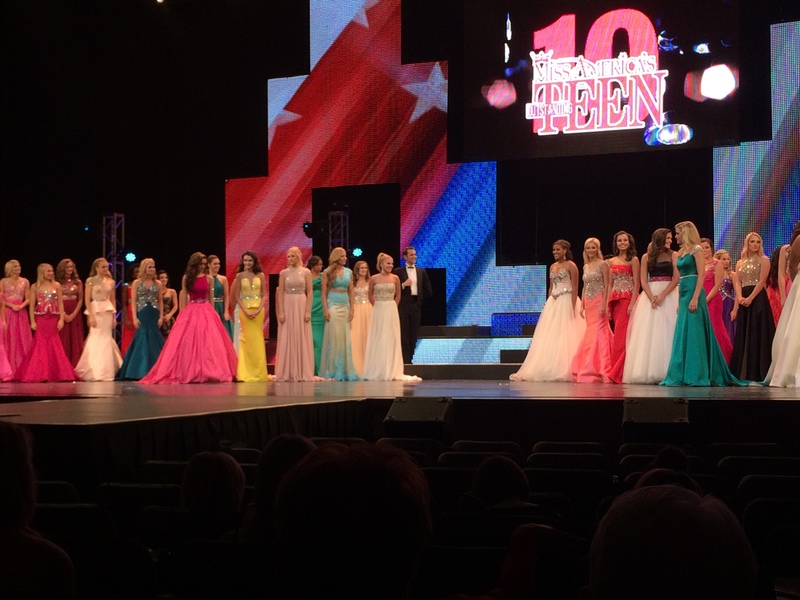 Teghan Gregson was a Top Ten Finalist and took home a Preliminary Evening Gown Award. And Isabelle Richard also won a Non-Finalist Talent Award. For details on the scholarship and award winners, please visit the Miss New Hampshire’s Outstanding Teen Facebook page. All twenty-three state finalists were wonderful onstage. 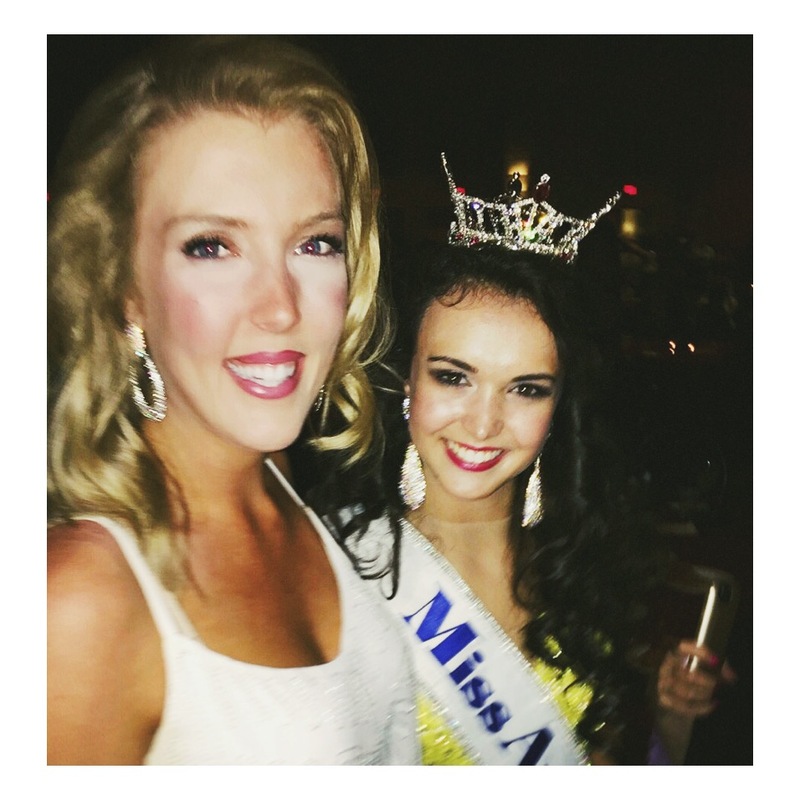 Congratulations to Caroline Carter, Miss New Hampshire’s Outstanding Teen 2014 for her OUTSTANDING year of service to New Hampshire and her fantastic performances this weekend. 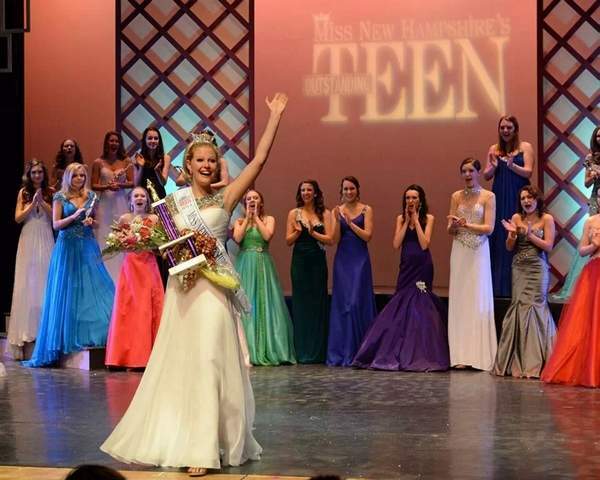 If you know an Outstanding Teen who might want to compete in local programs, please visit http://missnh.org/Outstanding-Teen/ for more information. I can’t wait to step onto the Stockbridge Theatre Stage for Miss New Hampshire! This is my friend (and neighbor) Caroline Carter. She is a sixteen year old honor student, an athlete, a vocalist, a volunteer, an outdoor adventurer, a crusader, a Pease Greeter, and an outstanding teen from Dover, New Hampshire. 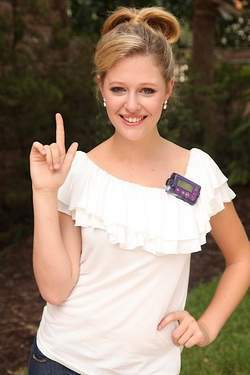 Caroline was diagnosed with Type 1 Diabetes at age 11 and has spent the last five years working to Stop Diabetes. Follow her on Twitter @CarasCrusade and visit CarasCrusade.wordpress.com to learn more about this amazing young woman. On Sunday, February 16th, a very distinguished panel of judges crowned Caroline the 10th Miss New Hampshire’s Outstanding Teen. She joins an incredible sisterhood of Miss New Hampshire’s Outstanding Teens and will be an OUTSTANDING representative for the Granite State in Orlando, Florida at Miss America’s Outstanding Teen. Congratulations Cara! Bring that pink crown home to New Hampshire!